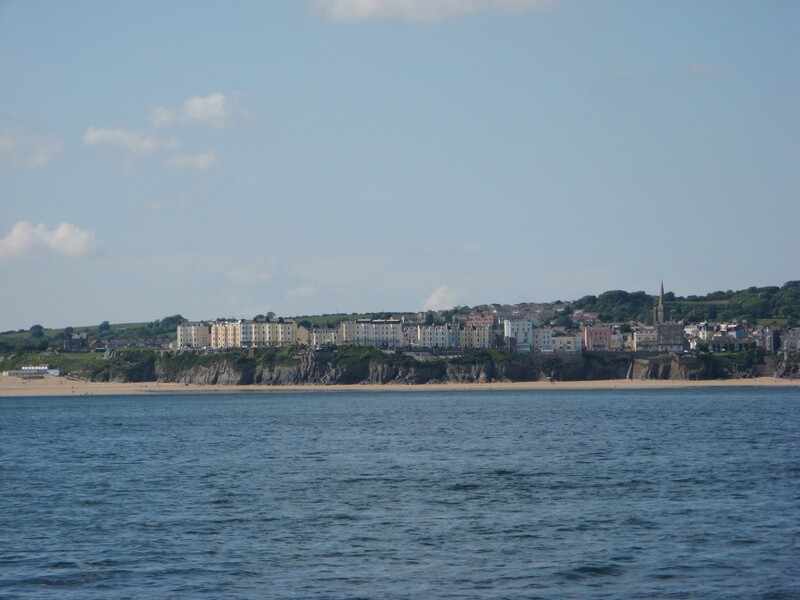 Offering a range of self-catering accommodation from studios sleeping 2-3, to two family flats on the top and lower ground floors, Carnock House is superbly situated overlooking the South Beach with views from Castle Hill and St. Catherine's Island Fort to the east, across to Caldey Island and around to Giltar Point towards the west. 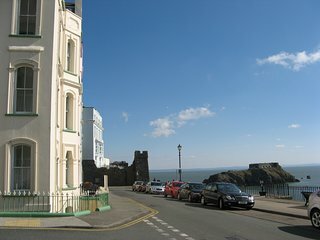 Carnock House is ideally situated for enjoying Tenby, with public steps opposite down to the beach and being only a short walk from the medieval walled town centre with its wide choice of shops, cafes, restaurants and much photographed brightly coloured harbour area. There is no private parking available but limited on-street parking in front and to the side of Carnock is permitted and three large car parks are within a couple of minutes walk. The train and bus stations are also easily accessible. For those venturing further afield, Pembrokeshire has plenty to offer and it is great to get out and explore. Being in the Pembrokeshire Coast National Park, there is a wide choice of activities such as enjoying the many different beaches, walking the coast path, boat trips, visiting Norman castles or pre-historic sites in the Preseli area where it is said the stones for Sonehenge came from. Carnock can offer flexible holiday dates from two day weekends, short 3-5 day breaks to a week, fortnight or longer. Bookings can be made for minimum two day stays throughout the year apart from mid-July to end of August, when normally only weekly bookings are taken in advance - this requirement has now been revised to a minimum of three days stay. Prices vary according to time of year and type of accommodation and range from £210 - £735 per week and £50 - £150 per day. All Carnock enquiries are administered by the Clarence House Hotel on behalf of Carnock House - the self-catering tab on the Hotel website has brief details of Carnock House. Please be aware that bookings cannot be transferred between Carnock and the Clarence Hotel, and that Booking Terms & Conditions differ. The Clarence is situated adjacent to Carnock House and reception staff are on hand to help with any questions you may have before and during your stay. 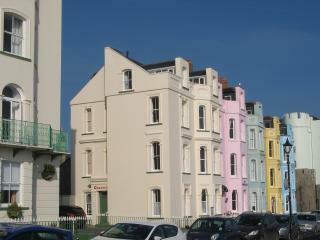 Telephone the Hotel on 01834 844371 or e-mail: reception@clarencehotel-tenby.co.uk for availability.